Alibaba Group Holding Ltd (BABA) Purchased $383 Million Stake in Beijing Enlight Media Co.
Alibaba Group Holding Ltd (NYSE:BABA), the Chinese e-commerce giant, is expanding its television and entertainment offerings, as it purchased a $383 million stake in Beijing Enlight Media Co. which is one of China’s leading private film and TV companies. A Bloomberg article reported on the news and discussed about Alibaba’s newly purchased stake in Beijing Enlight Media Co.
“Beijing Enlight Media has had a long track record of producing hit TV shows. Alibaba most likely will consolidate the previous video and content businesses it has already bought to expand its market share,” said You Na, an Analyst at ICBC International Research Ltd. in Hong Kong. According to IResearch, in the year 2018, the online video market in China is expected to double to 90 billion yuan from an estimated 36 billion yuan this year. That’s why Alibaba Group Holding Ltd (NYSE:BABA) has purchased a stake in an entertainment company, as it has foreseen the potential for growth in the online video sector in China in the near future. According to its earnings report, Enlight Media produces local television shows including “Chinese Entertainment Reports” and “Top Chinese Music”. Alibaba Group Holding Ltd (NYSE:BABA) has been searching for entertainment content through its tours in Hollywood and spent over $3 billion in the entertainment industry last year. 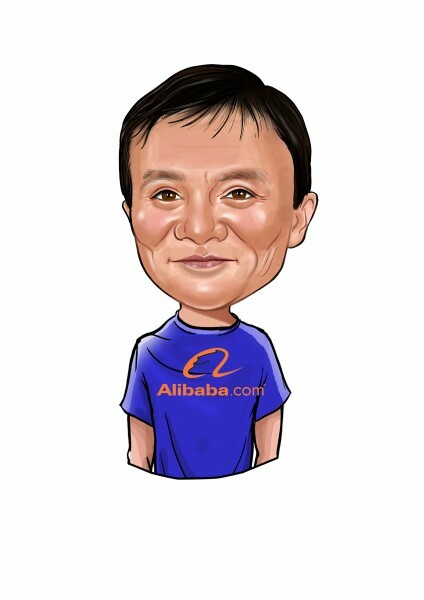 Jack Ma, founder and chairman of Alibaba Group Holding Ltd., is ambitious to become a major player worldwide and he also has described Alibaba as “the biggest entertainment company in the world”. In August 2014, Jack Ma’s Yunfeng Capital completed the purchase of a $1.2 billion stake in the online video website Youku Tudou Inc. The company also bought a 59.6% stake in ChinaVision Media Group Ltd., in June 2014, which later became Alibaba Pictures Group Ltd. after changing its name. Being interested in the entertainment business, Jack Ma has also showed interest in partnering with Sony Corp (ADR) (NYSE:SNE) on movie franchises in the past, but Alibaba Group Holding Ltd (NYSE:BABA) has made its move this time by grabbing the available opportunity of Enlight Media Co., as on Tuesday, Enlight Media’s shares reached their highest level since October 2013, rising as much as 9.5% on Wednesday a few hours before the statement to the Shenzhen exchange. By purchasing a stake in Enlight Media Co., Alibaba Group Holding Ltd. has broadened the scope of its business while having good signs of future growth in its invested sector.